Thank you the businesses, organizations, and foundations who support our mission. 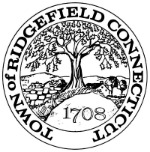 While Lyme Connection is a Town of Ridgefield initiative (making gifts tax deductible), we do not receive state or federal funding. All of our programs and support services are free to participants thanks to the generosity of our donors.